Hey! 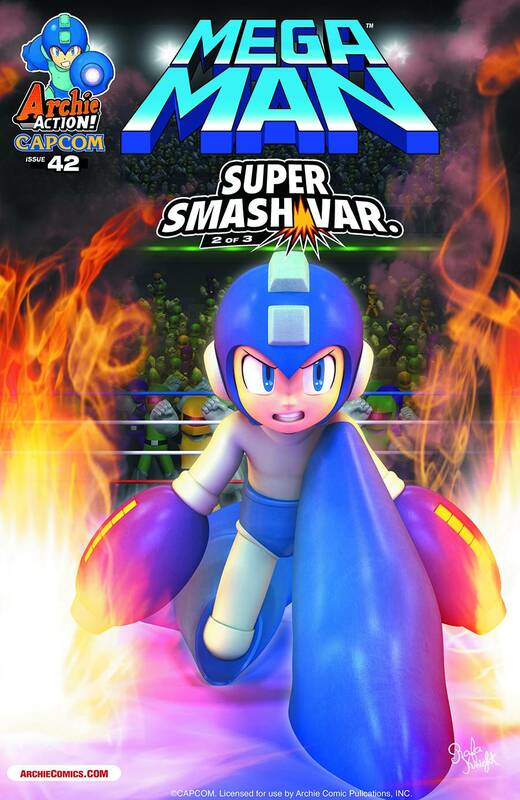 Mega Man #42 is now available for pre-order! I’ve got a fun li’l backup strip in the back, that you might dig on. Consider pickin’ it up! The battle RAGES ON! Based on the legendary game Mega Man 3 comes “Legends of the Blue Bomber” Part Two: We’ve seen Mega Man battle Robot Masters before, but now see the fight unfold from the perspectives of the villainous robot adversaries themselves! Shadow Man recalls his humble beginnings and how they brought him to his deadly duel with Mega Man! 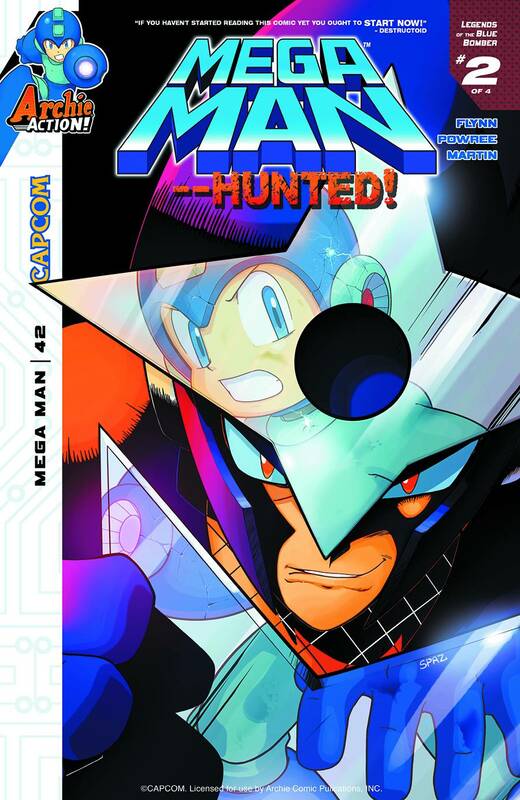 Gemini Man is ready to ambush our hero with his hologram copies! But while the battle rages on, Break Man is behind the scenes on a mission of his own-why is he hunting down Dr. Wily’s first set of Robot Masters?! Featuring all-new cover art from Patrick “SPAZ” Spaziante, and part 2 of a 3-part connecting “SUPER SMASH” collector cover set! Collect all 3 covers with Sonic the Hedgehog #266 and Sonic Universe #69!